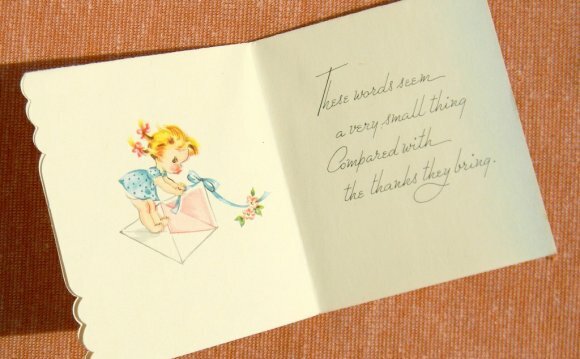 Do you think that the majority of greeting card messages are bland and that you could write better, given the chance? There could be loads of cash to be made out of writing greeting card messages. It is a very competitive market so you may not want to make a career leap just yet, but it can provide a outlet for your creativity that will earn you some extra cash. It doesn’t take much – a punchy pun could earn you up to £150! It is vital that you research the greeting card market before you start. Trawl round the shops and look at cards on offer and the wording inside them. This can’t be stressed enough. It’s time consuming but it is critical. It will also end up saving you time in the long run. Many publishers don’t even get past the first few lines or words in a proposal because so many applicants don’t research before submitting. The first thing to note is that not all cards are created equal – there are various genres. Traditional cards which use metered, rhyming poetry. Contemporary prose cards, which tend to be the sentimental cards. Humourous, pun-filled or clever cards, which are by far the most popular. Traditional cards are the most technical and are therefore mostly written by in-house staff. However, both prose and humorous cards are written primarily by freelance writers. Pick your style – but whatever style you choose make sure that you’re pitching to the correct publisher! Don’t send pitches of your funniest work to publishers of blank cards. You may need to send follow-up emails tracking the status of your submissions or thanking editors for feedback. Keep track of follow-up dates. This is your opportunity to establish a rapport with someone and place a personality with a name. Keeping organised records requires effort, but it’ll save you time and potential embarrassment later on. Research and contact is needed on a continual basis since publishers’ requirements change all the time. If you’re going to be submitting seasonal cards, remember they produce them months in advance so Christmas card submissions may be needed in July. Check in periodically with publishers to see what seasonal submissions are currently required. Signup now to get our free eBook "8 ways to make £80"! The best place to start your research is at a high-street card shop. Go in and take note of the types of cards available, read them and get an idea of what types of cards are popular. Take down the publisher name, which can be found on the back. You should write down as many publishers as possible. Finding smaller publishers will give you access to a market with less competition. Smaller companies will pay less; however they’re a great place to get your foot in the door as competition is fierce in bigger firms. These may be a bit harder to find but again the initial research will pay off. Visit niche shops like craft stores, restaurant gift shops, book stores and pet shops. Check out unusual places, such as home furnishings stores who sometimes sell greeting cards. Investigating these types of shops will give you some smaller publishing company names that you may not have found at your high-street greeting cards shop. Another great place to find publishers is at greeting card trade fairs. You can meet all sorts of publishers all in one go and get an idea of which ones you want to pitch to.